Welcome to the home of Union County's finest bass anglers! Founded in 1985, The Carolina Crankers are one of the longest running bass tournament clubs in The Carolinas. Many of our members have been with us for 25 years or better. With two separate circuits and no annual membership dues, our club offers something for everyone. Weekend warriors may enjoy our year-round Saturday Series while others enjoy a late bite with our Evening Series. Youth anglers and female anglers are welcome at anytime and compete as equals with The Carolina Crankers! Every season brings new members to our ranks and new members will always be welcome! Never underestimate the dedication of our young anglers. The passion and "never give up" attitude is alive and well in each of them. After one young man loses traction at the trolling prop, he fashions a makeshift prop pin with a nail weight from his tacklebox. He never gave up and hammered those swells all day. When a second teams' starter grinds to a halt by sunrise, they back the trailer down, drop the trolling motor and attack the winds head-on! The loss of the main motor would send almost all of us to the house in today's conditions. 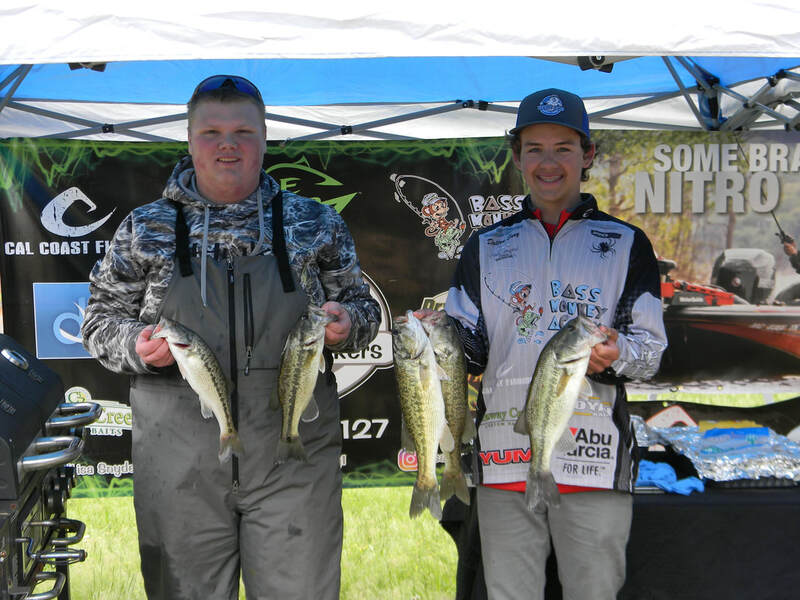 Fresh off a cold front and battered with heavy winds and rolling whitecaps, Lake Norman punished our young anglers in The Bass Monkey Academy High School Open. Tough conditions, even for veteran anglers weren't enough to slow down these young men and women today. Several limits made it to the scales and all teams had fish for weigh-ins. With today's strongest sack, Austin Wikes and Hunter Alexander took home first place in our Senior Division with 9lbs. and 12ozs. Topping out our Junior Division, Kade and Grant Sturgill knocked out a five fish limit weighing 6lbs. and 4ozs. 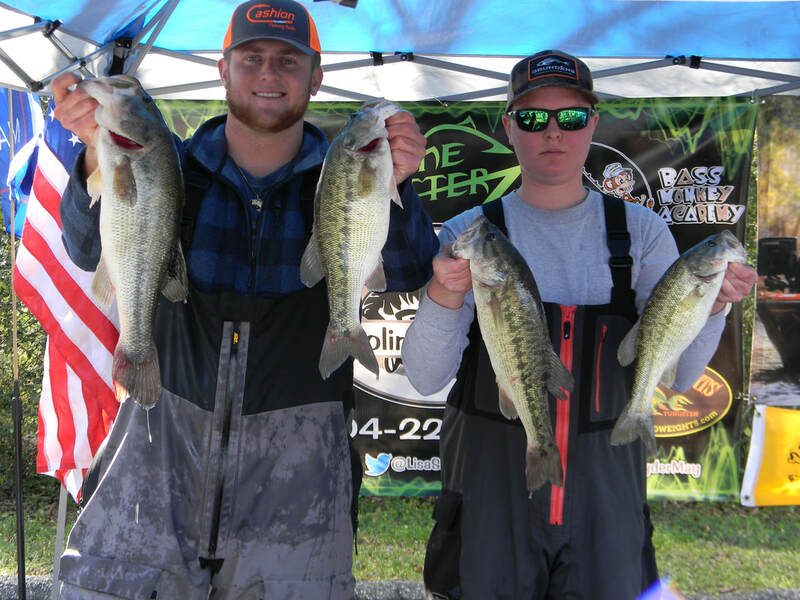 Aaron Shumaker and Dalton Eury grabbed second place with a "spotted" limit of 7lbs. and 12ozs. Congratulations to Logan and Jay for winning today's big fish pot with a 2lb. 12oz. largemouth. Great job out there today everyone! After weigh-ins, we all enjoyed the perfect lunch with fresh grilled hotdogs, coleslaw, chips and homemade cookies! Yes, if you notice the missing cookies, I'm enjoying them right now! Thank you to each of you that sent food and helped cook and prepare for our tournament. Our young anglers and us "old folks" had a great time hanging out with Pro Hank Cherry this afternoon! Thank you so much for sharing your time and your experience with our young anglers! Jeff Queen stopped by and dropped off Queen's Tackle hats and goodies to share with everybody! We can't possibly thank you enough Jeff! Brian Souza with Bizz Baits made a special trip to bring each of our youth new baits and to share a Huge fishing package with a very deserving young member of Bass Monkey Academy! Thank you Brian!!! Lisa and I would like to express our extreme gratitude and thanks to each of our sponsors. Bass Monkey Academy is only the tip of the iceberg. We have the best sponsors in the industry supporting our young anglers every step of the way. Thank you Gander Outdoors for the wonderful prize packs and rod and reel combos for today's tournament! We are proud to partner with such a great company! We would also like to thank each of our awesome elite sponsors, Queen's Tackle, Bizz Baits, Linecutterz, Lews, Caraway Creek Custom Baits, Strike King, Cal Coast Fishing and The Carolina Crankers. We invite all high school anglers ages 8 to 18 to join Bass Monkey Academy as we launch a new 5 tournament Major League format beginning July 27th on Badin Lake! Tournament guidelines and rules to come! Until then... keep 'em hooked!!! That Carolina weather sure packs a punch! Early week forecasts promised blue skies and 80 degree temperatures for The Carolina Crankers event on High Rock today. Daily, the forecast began to take a downhill slide. By midweek, the "Carolina Wedge" had 100% rains and thunderstorms waiting at the ramp for us. By midday Friday, yet another change: the possibility of making the tournament ahead of the rains and near 80 degree temperatures! Finally, the weather had taken a dose of "act right" and it was gonna be a great day! Ha Ha Ha! This is the Carolinas and the weather turns on a dime! We got punished by the rains and chased by lightening from the heavens as the skies opened up and dumped bucket after bucket on weary anglers. Across the lake, fields of pollen floated down river chasing logs and debris. The pockets we visited below Tamarack had incoming streams flowing like mountain rivers from the woods into the lake. Last weekend's steady bite was gone. Sight fishing was gone as the mudlines crept into the shallows. Even the locals we spent two hours with under the Tamarack bridge came up short fishing for crappie. Today's key was dodge the lightening and cover as much water as possible. Anyone wanting water conditions at High Rock? My brand new Freedom spinnerbait is no longer white, its pale beige! Today's tournament would be won on shear confidence and consistency. We have a strong group of excellent fishermen and women that produce fish almost anywhere and in any condition, but i've never met a team that can produce like Mark and Audrey Bayse! Mark and Audrey consistently hammer out game changing sacks! 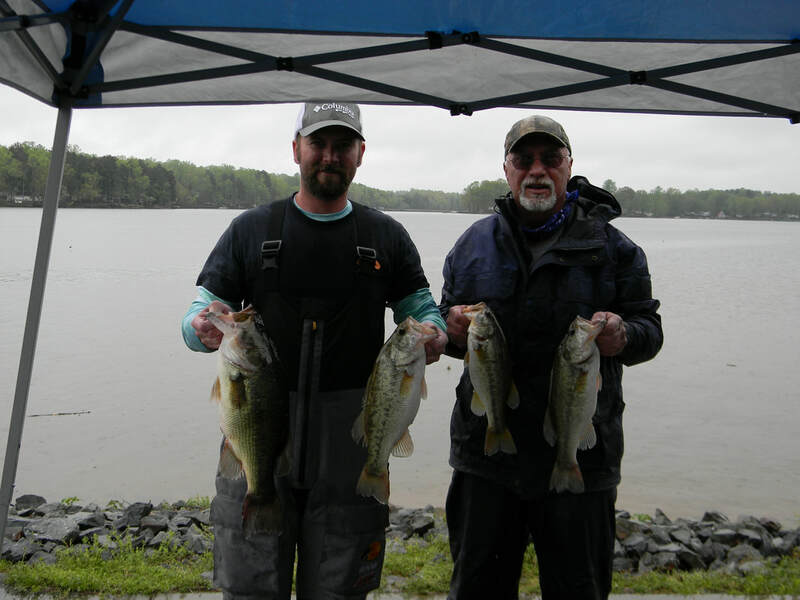 Even in the worst conditions, the pair brought in a first place limit with 15lbs. and 10ozs. Congratulations Mark and Audrey! 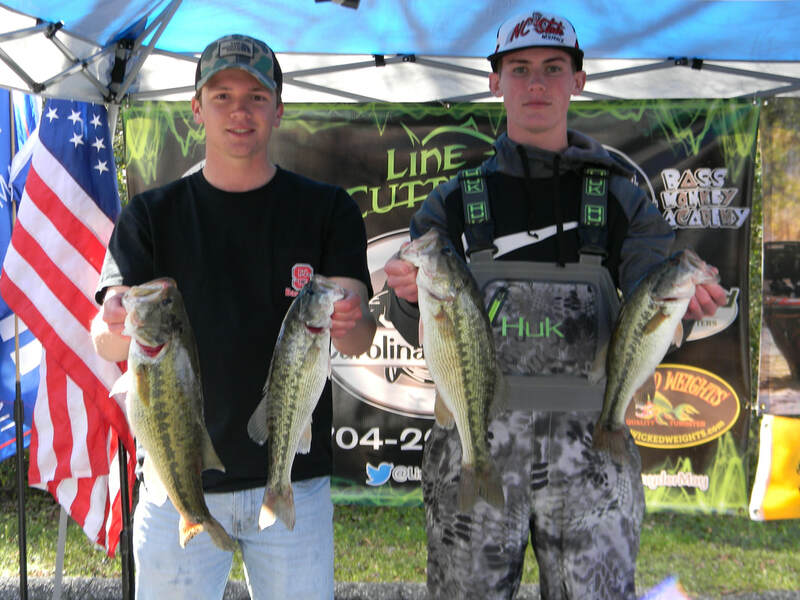 With a stout 14lb bag, Phillip and Lucas Hedrick took home second place with four fish. Brian and Wayne File managed today's "Big Girl" with 5lbs. and 6ozs. to take home the tournament's big fish pot. Great job everyone! On days like today, we really want to thank each of you that joined us on the lake! We are proud to call each of you our fishing family! We invite everyone to join The Carolina Crankers on April 27th at Lake Norman. Blast-off is at 6am from Queens landing. Don't forget, The Carolina Crankers Friday Night Series starts on Friday, May 10th on Norman! Until then... keep 'em hooked!!! Bass fishing, like every other sport has it's "rabbit's foot" of superstitions! From the dread of catching a fish on the first cast to opening your lunch and finding that "doomsday" banana, anglers are as cautious as an NFL player in his "lucky" socks! Hit the registration table in the early hours and watch teams avoiding the 13th spot! We've seen it all, from teams moving out of line, to those strategically carrying on conversations and casually trading places with their buddies, even days we've actually had to skip the spot to ease concerns of leery fishermen. Personally, I'd wrestle with you for that "lucky" 13th spot anytime! After today's tournament, Mike and Jason won't let me have it! The conditions for today's tournament on Wylie were stacking up beautifully watching the late week forecasts. As usual, tournament day brings new challenges with morning temps near 30 degrees and sustained winds between 5 and 10. Top it off with late week drops in water level and an army of BFL anglers and conditions test even the most experienced Wylie veterans. With half the field ending the day empty, conditions proved to be today's strongest competitor. "Light" limits of spotted bass ended in the 7 to 9 pound range and outnumbered largemouth at weigh-in. It seemed the field had leveled just over 13lbs, but then there's that 13th spot! Mike Seawright and Jason Eaker took that 13th spot and dropped 14lbs. and 14ozs and topped the field for over $1000. The pair anchored today's "top sack" with a 4lb. and 12ozs Wylie largemouth. Just over a pound behind, Chad Sims and Ryan Sommerville hammered out a 13lb and 12ozs limit for second place. Austin Moore sacked the tournament's youth side-pot with 1lbs. and 12ozs. Great day on the lake guys! Congratulations to today's "Top Sticks" Thank you to each of our anglers that joined us on the lake today! We invite everyone to hit High Rock with The Carolina Crankers on April 13th. Get there early, blast-off is at 6am from Tamarac public access. Until then... keep 'em hooked!!! By the dark of night, The Carolina Crankers filed in to Pinnacle Landing this morning for this season's first shot at Lake Norman. A field of 44 boats eased into the darkness to await the 7am blast-off. By 7:05, the distant hum of the outboards was all that remained. North or South, never a bad choice for Norman. After another week of rainy days, the common whisper was a red crankbait and it was on the deck of every boat! After weighing multiple teams, I realized the spots seem to be feeding up already but very few largemouth were bulking up. Several days of calm, warm weather should nudge the bigheads into feeding. Weigh-in today brought in the midday snackers that cruised into the warming shallows. Heading home with "pockets full of cash" Aaron Digh and Nolan Saunders sacked 14lbs. and 8ozs. for over $2000! 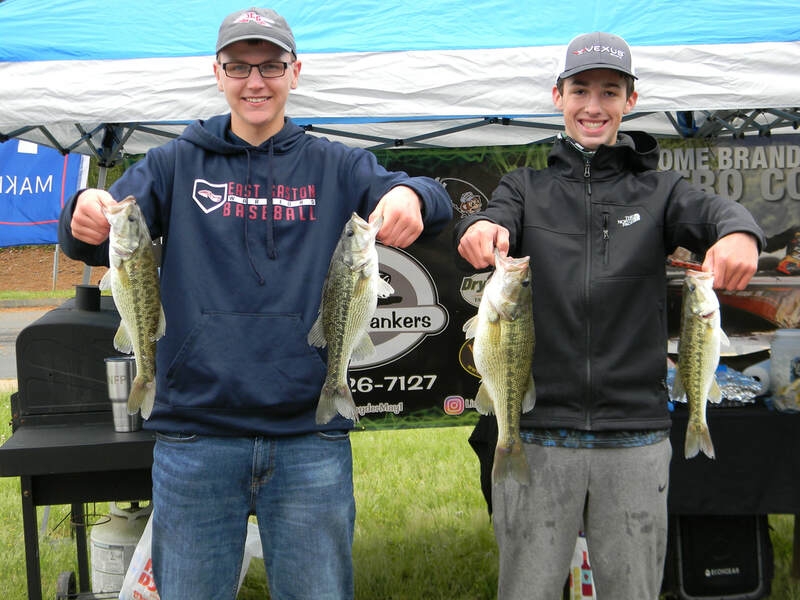 Aaron and Nolan also grabbed today's sidepot and took home big fish with a 4lb and 8oz. hammer. Only a pound behind, Jacob Moore and Jacob Smith hit the scales with 13lbs. and 8ozs. The pair cashed in on second place and Jacob Smith took today's Youth sidepot as well. Nipping at their heels, Alfred Kiesling Sr. and Alfred Kiesling Jr. dropped 13lbs. and 2ozs. for third place. Great job out there today guys! Congratulations to all our top finishers! We want to send a special thank you to all 13 of our youth and lady anglers that competed in today's tournament. Thank you to our dedicated family of fishermen and to our incredible sponsors for supporting The Carolina Crankers and Bass Monkey Academy! Join us March 23rd on Lake Wylie at 7am as we blast from Buster Boyd Landing. Catch Bass Monkey Academy in Knoxville for The Bassmasters Classic in two weeks!!! Until then... keep 'em Hooked!!! For days and days, rains have punished the region. Lake levels have crept higher and higher and the waters have simply turned to mud. There are no patterns or "sweet spots" to fill out a sack. It is straight-up dedication and persistence in these conditions. Cast after cast and location after location. Cover the most water and keep the lure wet if you want any chance of filling the livewell. Anglers can only make the conscious effort to give it everything they've got. Top off today's conditions with Tuckertown's notorious black moss and it's lights-out for any gameplan. After a truly miserable day on the lake, rain-soaked anglers idled to the ramps for weigh-in. With a 5lb. and 6oz. Big Fish, Rodney Adams and Jarrett Freeze took home first place and sidepot with 11lbs. and 12ozs. Just over a pound behind, Jeff Coley grabbed second place with 10lbs. and 6ozs. Congratulations guys! Great job to each of our anglers that fought today's conditions! Join The Carolina Crankers next Saturday, March 2nd on Lake Norman. Show us what you've got in "The King of the Lake Competition" as we shake the lake from Pinnacle Landing! Blast-off is at 7am! Until then... keep 'em hooked!!!! Only four short weeks ago, Bass Monkey Academy and The NC Student Angler Federation teamed up to announce a wonderful opportunity for student anglers. 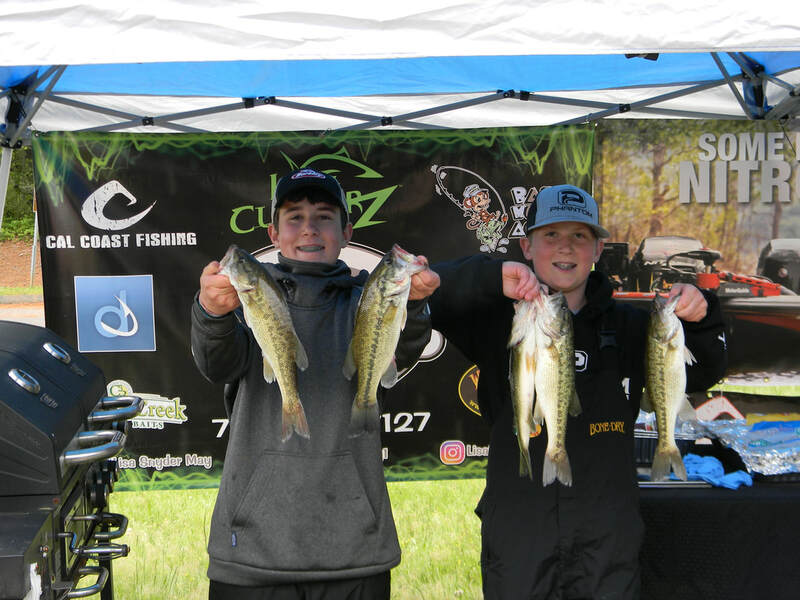 In an effort to share the tournament experience with young anglers, the decision was made to create an "open event" for all North Carolina youth teams. For the first time, any youth angler could compete as equals with or without Federation membership. 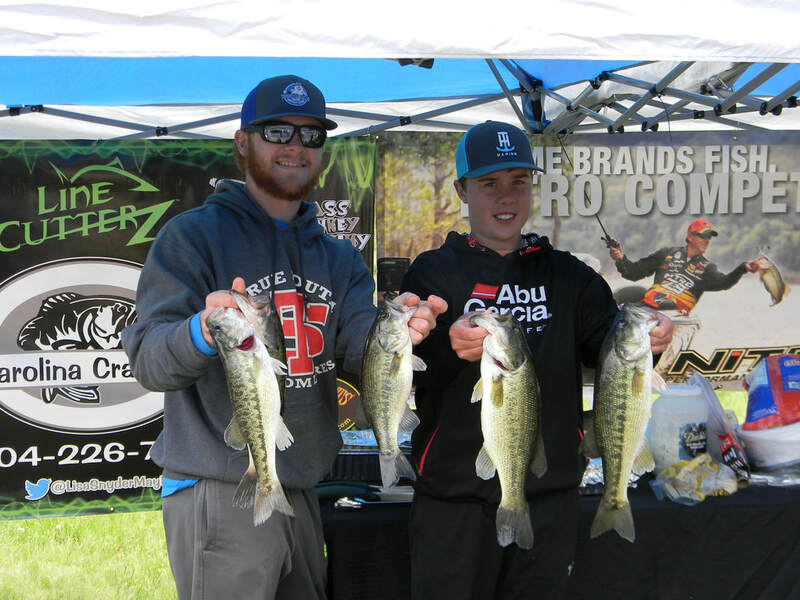 Teams competed for awesome prize packages from both Bass Monkey Academy and The NC Student Angler Federation! Governed by all Federation rules and bylaws for our first open, federated teams were awarded qualifying points towards the NC state tournament trail. Although temperatures this past week soared near 80 degrees, the typical late week cold front slammed the Piedmont area driving blast-off temps into the low 30's. On the waters of High Rock Lake, the winds churned at 10 to 15mph eating trolling batteries and pushing teams into protected pockets and creeks. Fighting the winds on the main was dicey at best and kept anglers away from mid lake structure and open water fishing. Exhausted from conditions and driving winds, teams filed in for the 3pm weigh-in. Many teams finished the day empty handed as only four teams made weigh-in. Rising to the top of today's open event, Carson Palmer and Harrison McCall sacked four bass weighing 10lbs. and 8ozs. Coming home with second, Hunter Alexander and Austin Wikes brought in two for 8lbs. and 14ozs. anchored with today's Big Fish of 6lbs. and 4ozs. Third place went to Hunter White and Garett Smith with a solo lunker weighing 5lbs. and 14ozs. Great job everybody! Thank you to all of our NC High School Anglers that made the trip to High Rock today! Bass Monkey Academy sends a huge Thank You to our title sponsor and partner Gander Outdoors for your continued support of our young anglers! We would also like to thank each of our sponsors and anonymous donors that make Bass Monkey Academy a pathway into competitive bass fishing! We invite all youth teams from North Carolina to join us on April 20th as we hold a Bass Monkey Academy North Carolina Open on Lake Norman! $25 per youth with standard team format and chaperone. Cash and prizes from Bass Monkey Academy sponsors and Gander Outdoors will be awarded at weigh-in! Blast-off is at 7am from Beattie's Ford Ramp. Until then... keep 'em hooked!!! Bass Monkey Academy / NC SAF High School Open!!!! Bass Monkey Academy/North Carolina Student Angler Federation High School OPEN Tournament. February 9th 2019 High Rock Lake. Tamarac public access. 8am-3pm. Tournament is open to ALL North Carolina youth anglers from age 8 to 18 as long as you have not started first semester of college. Federated, Non- Federated, Unaffiliated, All NC Youth Teams Eligible!!!!! Bass Monkey Academy was created on the platform that no youth will be left behind! This is strictly a team event!!! Each team must also have a Boat Captain 19 or Older! ALL NC SAF RULES APPLY!!! To our adult Anglers with boats I am sure there will be some youth that would like to attend the event but just don’t own a boat. If you would be interested in Chaperoning for this event please contact me. Thank You! You guys are Awesome! The Carolina Crankers continued the "Polar Run" this morning on Badin Lake. After the bone chilling temperatures from midweek began to ease, anglers were anxious to hit the ramps early this morning. Although midday temps would be near 60 degrees, blast-off was still painful at 35 degrees. Teams took it in stride and dropped the hammer to start today's shootout. Muddy waters hovering in the low 40's greeted anglers near Alcoa while there was some clearing towards Circle Dr. Those that ran to Old Whitley found fields of debris making the run treacherous at best. The combination of conditions drove many bass to suspend in 10 to 12 foot of water. The baitfish are stacked near the walls running into the lower dam, however the bite near Alcoa never developed today. Teams willing to change scenery and work multiple patterns were generously rewarded with a strong bite. Weigh-in was a testament to the lake's population with roughly a 2lb. average at the scales. In a full field of boaters, only 8 teams managed to pull a limit from the frigid waters. With pockets full of cash, Rodney Adams and C.J. Johnston banked over $1900 with a 5 fish limit of 20lbs. and 8ozs. The pair leveled the field taking home today's side pot and big fish with a Badin chunk weighing 5lbs. and 2ozs. Knocking out second place was the team of Ronnie White and Robin Collins. Ronnie and Robin sacked a limit of 16lbs. and 10ozs. Just one pound behind, Adam Lockler and Joshua Featherstone took home third with 15lbs. and 10ozs. Congratulations guys! Great job out there today! With the 2019 season at full throttle, we would like to invite everyone to join The Carolina Crankers on the lake! Cast for the cash with us on Tuckertown on February 23rd. Blast-off is at 7am from the highway 49 ramp. Until then... keep 'em hooked!!! This morning was probably the coldest blast-off in Carolina Crankers history! Teams started down the ramps on Tillery at 5:45am shuddering with the temperature at 23 degrees. On the registration table, our trusted propane heater became worthless as it slowly began to freeze over. The bitter cold taking hold and freezing it from the wick to the base! Die-hard Vikings adrift in the dark for over an hour as others waited out the blast-off in the warmth of their vehicles. Half frozen anglers crept out of sight and throttled into the lingering shadows of first light. The combination of low, muddy waters and frigid temperatures greeted anglers at every cast. The lake yielded only 6 limits from the full field of anglers. After picking up a pair near the ramp at Swift Island, Jeff Coley and Brice Hollis proceeded to fill their tanks working the main and dissecting creek mouths. With only 12 minutes left to fish, Jeff sealed the deal. Culling out that last fish rocketed their winning sack to 21lbs. and 14ozs. Deep in the bag, the tournament's big fish, weighing an even 6lbs. When the dust settled, Jeff and Brice sacked over $1000 for first place! 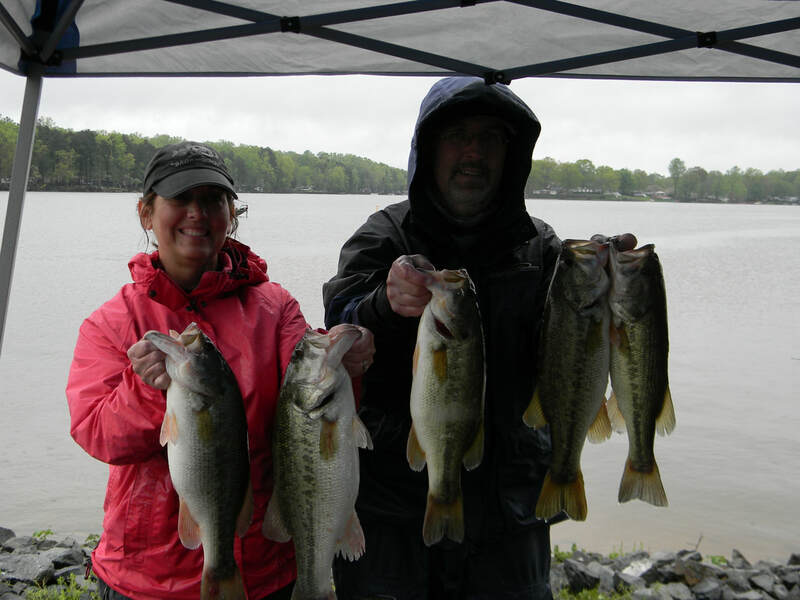 Loading up with a similar game plan, Mark and Audrey Bayse took home second with 17lbs. and 6ozs. In a strong field of High School anglers, Luke Uhl grabbed today's Kid's Sidepot with his big fish of 3lbs. and 4ozs. That's what you call a shootout! Congratulations to all of today's top anglers!! Thank you to each of our adult and youth anglers that joined us on the lake today. Brian Oneill and Tracy Simpson are both RockStars! We are extremely thankful to every adult that shares their boat with our High School anglers, however, braving these temperatures as a non-fishing chaperone for our youth teams is amazing! Join The Carolina Crankers next Saturday, February 2nd, on Badin. Blast-off is at 7am from Alcoa. Until then... keep 'em hooked!!! The new year howled across High Rock today as the Carolina Crankers kicked off the 2019 tournament season. Heavy winds ate trolling batteries like girl scout cookies! After a solid week of soaking rains, High Rock was spilling its banks and churning heavily stained waters. On the main lake, precision driving and awareness was critical as forests of debris and hidden dangers floated through the whitecaps. For teams headed under trusses and bridges, lake levels only allowed for "hand walking" partially disassembled boats under the overpasses. Alone, each condition tests any experienced angler, but in combination, the conditions overwhelmed over half the field today. Although no limits were taken, Phillip and Lucus Hedrick smashed the scales with four fish totaling 16lbs. and 4ozs. to grab first place and today's sidepot. Anchored by the tournament's big fish of 6lbs. 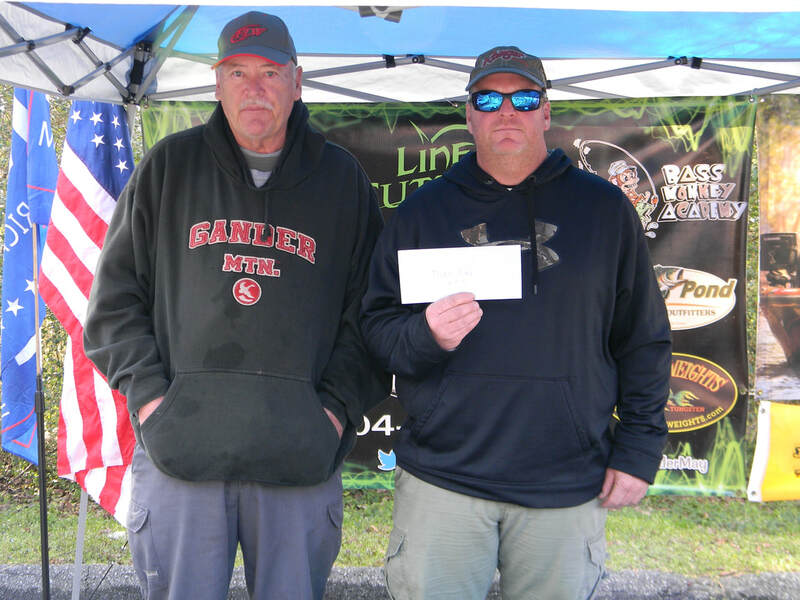 and 2ozs.. Mike Kiser took the cash for today's lunker and second place. Youth angler Trent Lawson took today's youth sidepot with a 5lbs and 2oz hammer. Great job guys! Congratulations to each of today's top anglers!!! The Carolina Crankers were proud to have such a strong group of youth anglers compete with us today! Seven young anglers attacked the conditions on High Rock gaining experience with every cast. Thank you to each of our anglers that joined us to kick off the new season! Join The Carolina Crankers on January 26th at Lake Tillery. Blast-off is at 7am from Swift Island. Until then... keep 'em hooked!!! Join The Carolina Crankers on High Rock Lake January 5th as we kick off the 2019 season. We will be blasting from Tamarac (Public Access) at 7am with a 3pm weigh-in. We will be on the ramp at 5:45am and we blast in the order of registration. Come early and get the top spots! New members are always welcome and there are no membership dues. Young anglers 17 and under always fish free and ladies are always free with paying partner! Come on out and become a part of the regions most dedicated fishing family! Until then... keep 'em hooked!! As the new season approaches, we invite everyone to explore our archives and catch up with The Carolina Crankers.